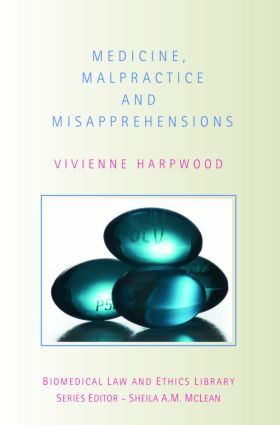 Analyzing the level of claims for clinical negligence in the light of the most recent trends and discovering whether there is indeed a litigation crisis in healthcare, this book is a topical and compelling exploration of healthcare and doctor-patient relationships. examines external pressures, such as political interference with clinical practice in the form of target-setting and what might be described as a culture of creeping privatization of healthcare. Covering the topics of medicine and the media and the causes of occupational stress among doctors, this volume is a must read for all students of medical law and medical ethics. Data, accuracy, compensation and error: what should we believe? Reasons for the increase in claims: who is to blame? The compensation culture in healthcare: myth or reality? Perpetuating the myth: should we blame the media? Doctors: over-paid, out of control and under-regulated? Treating the affl iction: are there any remedies?